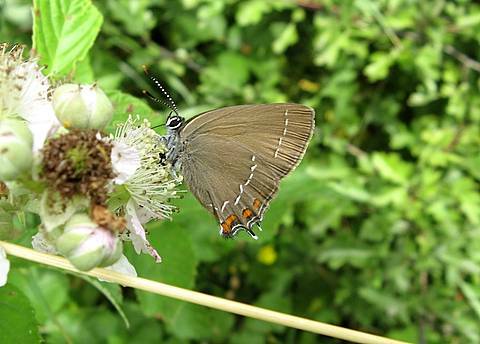 The Ilex Hairstreak is one of several similar species from the genus Satyrium which tend to fly in early summer, especially in June. 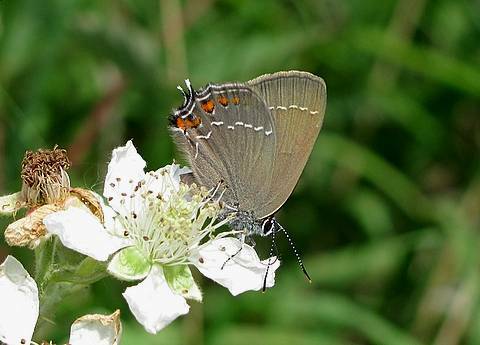 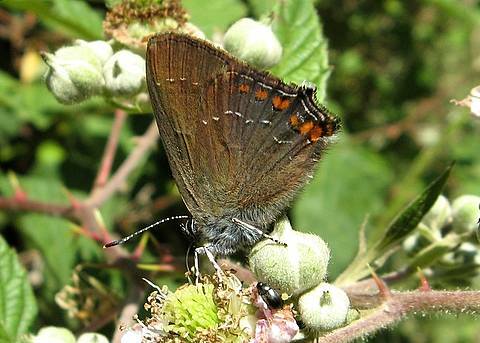 It is supposed to be widespread in France but in any event it will be local to woodland where the females can lay on the larval foodplants, oak trees, a habit shared with the commoner Purple Hairstreak. 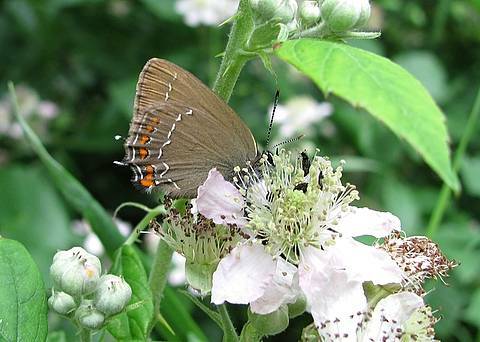 The adults are fond of nectaring at the flowers of privet and bramble. 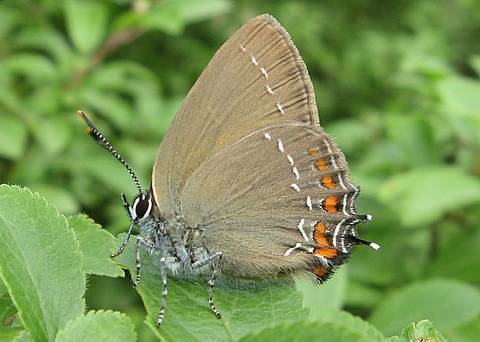 There's a very similar species in the south of the country, the False Ilex Hairstreak (Satyrium esculi) which basically has a more complete row of smaller, more regular red blobs on the underside of the hindwing.